Plain Dyed Fabric. We provide uniquely designed range of Plain Dyed Fabrics that is manufactured using raw material of high quality standards. 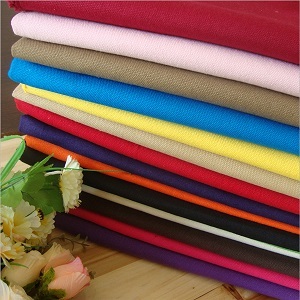 Offered in variety of colors, patterns, counts and weights, the Plain Dyed Fabrics offered by us can be availed in dyed form. Perfect to be used as a dress Fabrics, Home Textile Fabric these can be further converted into embroidered or plain fabrics. Available in various specifications of length and thickness, we also offer these fabrics in customized options also.